What could be a better way to escape your Arizona mobile home for the day than a visit to a state park? Our Arizona mobile home parks are just a few miles away and these five parks are well worth a short drive. 1. McDowell Sonoran Preserve: This national preserve is Scottsdale Arizona is breathtaking. If you are looking to explore trails with amazing mountain views this is the place for you. Not only are the trails well-kept but they aren’t too much for a beginner to handle. Parking is free. 2. 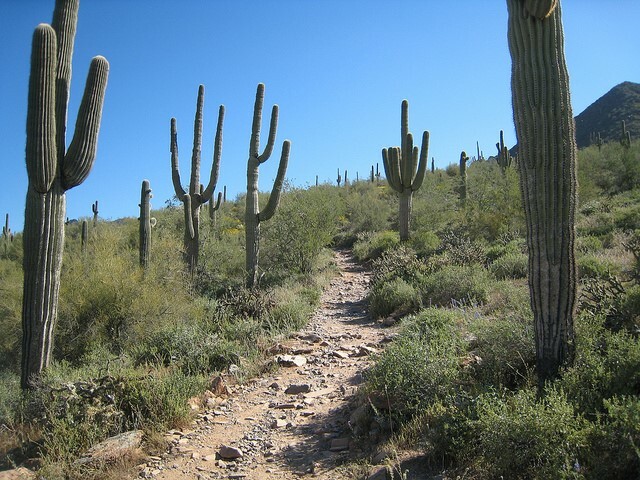 North Mountain Park: This park’s trails are perfect for hiking, biking, and horseback riding. There is a place and activity for every visitor. North Mountain Park also provides camping options and a place for children to play if a hike isn’t their first choice. The parking fee is only $6! 3. Dreamy Draw Recreation Area: With trails especially beautiful in the spring the Dreamy Draw Recreation Area is as dreamy as its’ name. It you want to enjoy some of Phoenix’s natural beauty this is the place to go. 4. 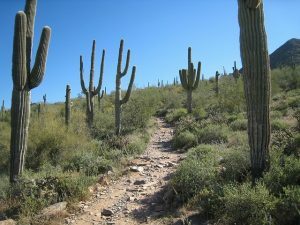 Phoenix Mountains Preserve: The perfect trail for you and your pooch. Bring your furry best friend with you to admire the beautiful phoenix mountain landscapes. This is also a great place to watch a Arizona sunset. 5. Rio Salado Habitat Restoration Area: A park with some water. Enjoy a calming nature walk within the Rio Salado Habitat Restoration Area. Admire the different plants and animals within the park. Visiting will make your day. Our Arizona mobile home parks place you just a few miles from each of these amazing parks! So get out and explore.